Google Chrome devices are increasing in popularity for digital signage and manufacturers are always announcing new models of Chrome devices for different digital signage applications. Here are 5 Key Factors to keep in mind when choosing the right Chrome device for Digital Signage to make your project as successful as possible and to make your project seamlessly reliable and secure. The great part about Google Chrome devices is that there isn’t any hardware requirements to worry about in order to run the most up-to-date version of Chrome OS. All Google Chrome devices are pre-loaded with Chrome OS, will run the latest version of Chrome OS and will continue to receive support and updates until the Auto Update Expiration (AUE) date https://support.google.com/chrome/a/answer/6220366. Software updates will continue to be released for a minimum of 6.5 years after release of that platform, or at least 5 years on some legacy products. 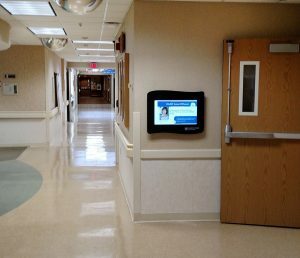 The first deciding factor, which arguably is the most distinguishing factor when choosing the right Chrome device for Digital Signage projects is figuring out what inputs and outputs your project is going to need. For example, if you are going to be building a video wall that requires four monitors, you will want to choose a Chromebox that can support those outputs. For a video wall, it may be 2 built-in outputs and 2 USB video adapters that require USB 3.0, or possibly a video wall controller that takes a 4K input and splits it into four 1080p outputs. In those scenarios, you will need to find a Chromebox that supports 2 video outputs and USB 3.0 or a Chromebox that supports a video output of 4K resolution. 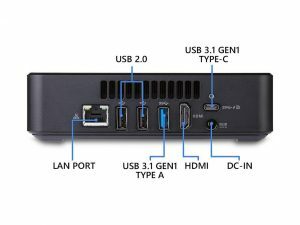 If you’re going to be using a touchscreen to build an interactive kiosk, you’ll only need a basic Chromebox with a single video output that supports your desired screen resolution and in most cases a USB port for the touch screen input. A device that falls into this category is a Chromebit, but next we’ll look at why the Chromebit might not be a good option for a touch screen kiosk. Another factor to consider when picking the right Chrome device for your Digital Signage project is the raw computing power of the device. 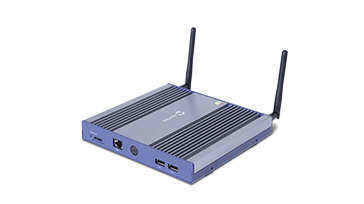 For video walls or projects that require 4K video, you’ll want to look into a Chromebox that has the processing power to produce high resolution video across multiple monitors, and still maintain smooth playback. 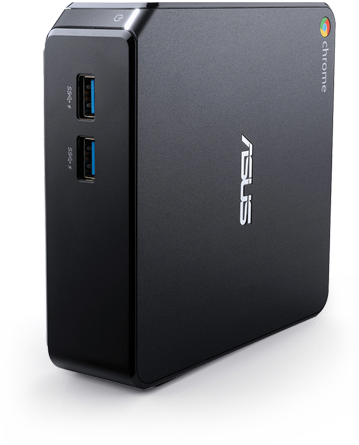 Generally, a Chromebox like the ASUS CN60/62 with an Intel i3 or higher processor is going to be a basic requirement for playback better than standard HD (1080p). Devices like the ASUS Chromebit or AOpen Chromebox mini, don’t support 4K output. Another consideration when researching the right Chrome device for digital signage, is if they have enough processing power if they are being used in an interactive project. In order to display modern, rich, web content with lots of animations and video playback, you’ll need a device with the processing power to keep the content running smooth and seamlessly without the appearance of lag. To keep your audience engaged, you want your content to change pages seamlessly, and load p ages quickly enough to keep their attention on your installation and not annoyed at how slow content is loading. Technically a Chromebit can be paired with a touch screen and be made into an interactive kiosk, but if your content has lots of pages of slideshows, videos, and animations, the Chromebit simply doesn’t have the computing power to keep up. For dynamic digital signage that runs effortlessly the Chromebox 3 is the recommendation for today. The last consideration which is usually overlooked until it causes an issue, is the physical size or form factor of the Chrome device. An ASUS Chromebit may look like an attractive choice due to low cost and ease of install, but plugging a Chromebit into the back of a monitor with no protection, leaves it open for tampering. Many “consumer grade” Chrome devices like the ASUS Chromebit are hard to mount to surfaces and usually end up being stuck to the back of a monitor with velcro or cable tie. For displays that aren’t easily accessible, this is fine, but for displays in high traffic environments you want as much physical security as possible. Make sure your devices are only accessible to key personnel and hidden from view. Adding metal surrounds or enclosures will brand your display but also secure all of the hardware from most vandalism. Remotely locating the Chrome device in a safer location and running cords to the monitor, is an easy form of protection. For installations where this isn’t possible, you’ll want to pick a device that allows you to physically secure it. Although ASUS Chromeboxes are consumer grade, they come with a VESA standard mount that allows you to secure the Chromebox to the back of a monitor as long as the vesa mount isn’t covered by a wall bracket. You can also use this bracket to mount it to a wall, or other flat surface. ASUS Chromeboxes also come with a standardized Kingston lock so you can add another layer of security with a locking cable around the monitor mount or o ther strong fixture. 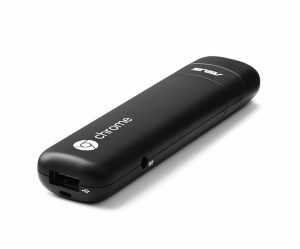 The best security for Chrome devices comes when you purchase a commercial grade Chrome device like the AOpen Chromebox Mini, Chromebox Commercial or Chromebase Commercial. These devices come with standard screw holes and brackets so you can firmly mount the box directly to a sturdy surface. This means a potential tamperer would need to physically access the device and remove multiple fasteners to take the device. On top of this, commercial grade devices have addition security features perfect for high traffic environments, like power cord locks, remote power switch provisions, or even hidden power buttons only accessible using a paper clip. No matter which Google Chrome device you choose, adding Chrome Enterprise Management allows you to lock your device into Kiosk Mode. Kiosk Mode gives you confidence that your device can’t be hijacked by mischievous patrons who want to bring up other content besides yours. Chrome Enterprise Management also gives you the freedom and flexibility to remotely monitor your devices, reboot them and take screen shots. There also exists Chrome devices that can be perfect for effortless interactive and static digital signage, and those are all-in-one devices. The Acer Chromebase comes in a 24 inch touchscreen model that is perfect for low cost interactive or non-interactive displays in compact areas, such as digital signage in elevators or hospital corridors.AOpen manufacturers a Chromebase mini which features a 10” screen that features a commercial design with a rugged case. These Chromebases could be perfect for retail endcap displays, product displays, or way finding throughout a building. Acer also has a Chromebase without a touchscreen for an easy non-interactive digital signage installation.